Netflix reports after the close today. I highlight this because it has shown as a consistent outlier on my dispersion models since January 3rd. The option implied move is 8%. Around earnings, the average absolute % surprise is 37% and the average absolute % price change is 13%. Bloomberg has analyst rankings broken down 68% Buys, 23% Holds and 9% Sells. Since the election, the stock has provided excellent trading opportunities. 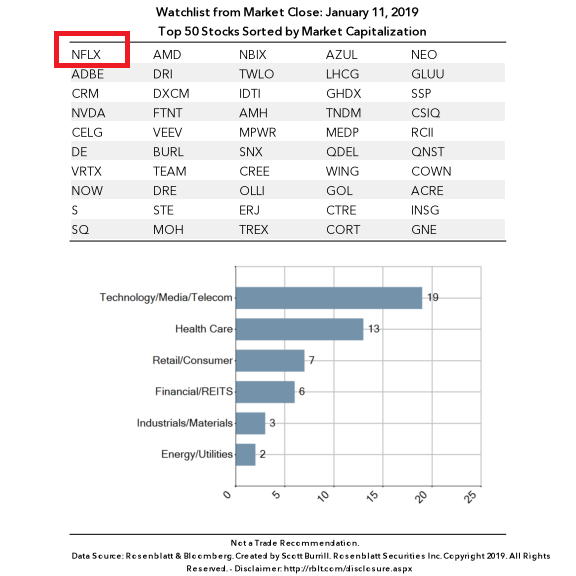 NFLX is UP on both of my Daily and Weekly Trend Models. The model is forecasting possible reversion at a Level of 375 and continuation through that puts 437.5 into play; negatively, we would target an initial Level at 312.